Business description - Affordable Robotic & Automation is in the business of providing turnkey automation solution to automotive, semi-automotive and manufacturing industries. 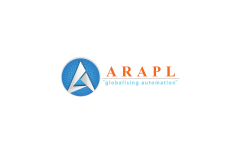 The company programs and automates the functions of machines used in manufacturing process of automobile industry. The Assembly facility of the Company is situated at Pune, Maharashtra along with the Head office, covering an area of 8,442 sq. meters. The assembly unit is equipped with requisite software, technology, machinery, spares store and other basic amenities for its employees making itself an integrated facility. The company is also in the business of assembling and installing automatic multilevel car parking system. This system is preferred by residential complexes, shopping malls and commercial buildings. The company has presence in Mumbai and Pune in automated car-parking business. Further, in FY 2017-18, the company has set-up a new line of business, Secondary Packaging, which is aimed at FMCG industries by way of providing automation service in container packaging of the final packed product. Affordable Robotic & Automation IPO allotment status is now available on Link Intime's website. Click on this link to get allotment status. Company not being able to pay salaries. Company in a bad shape. All deliveries are always delayed. It is well known in Pune that these guys don’t pay on time. I have been a vendor and it was worst experience dealing with them. Company not paying small employee salary from past 3 months. Company is in a very bad shape.. vendors payment pending since years.